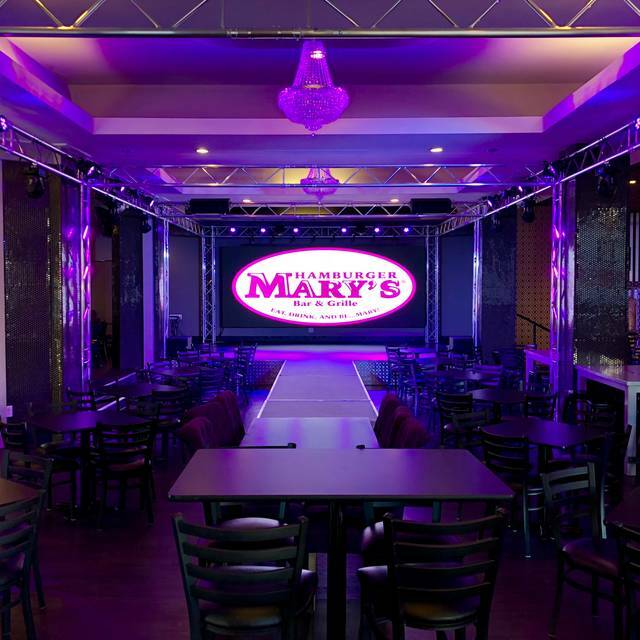 You must make reservations at least 5 minutes in advance of the time at Hamburger Mary's - St. Louis. Hamburger Mary’s is an open-air bar & grille for open-minded people, serving a full menu of tasty items… Big and juicy gourmet burgers, yummy apps, soups, salads and entrees, and an extensive bar menu featuring craft beers and cocktails. 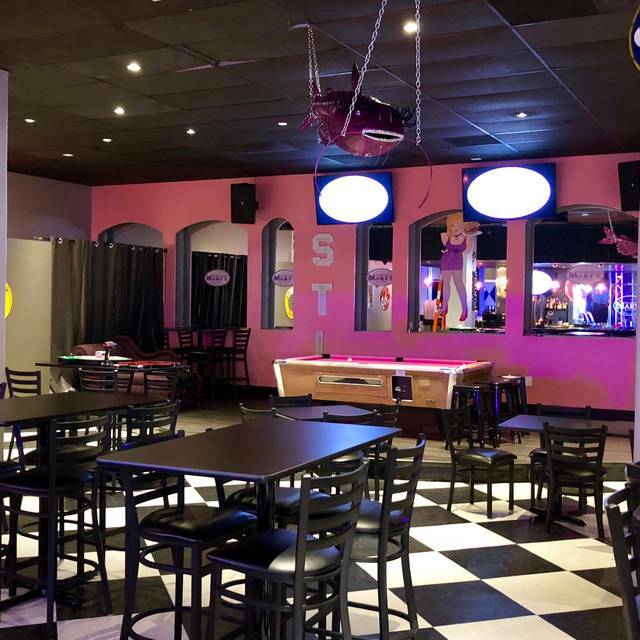 Hamburger Mary’s offers a flamboyant dining experience, along with nightly entertainment from our “Dining with the Divas” drag shows and charity “HamBingo Mary’s” to MaryOke-Karaoke and trivia nights. It was bright, it was noisy, it was crowded, and it was one of the most fun times we have ever had. First class entertainment and the entertainers go out of their way to make everyone have a great time. We went on Sunday and had the buffet; the food was good, but not great. I have heard if you order from the menu, the food is awesome. 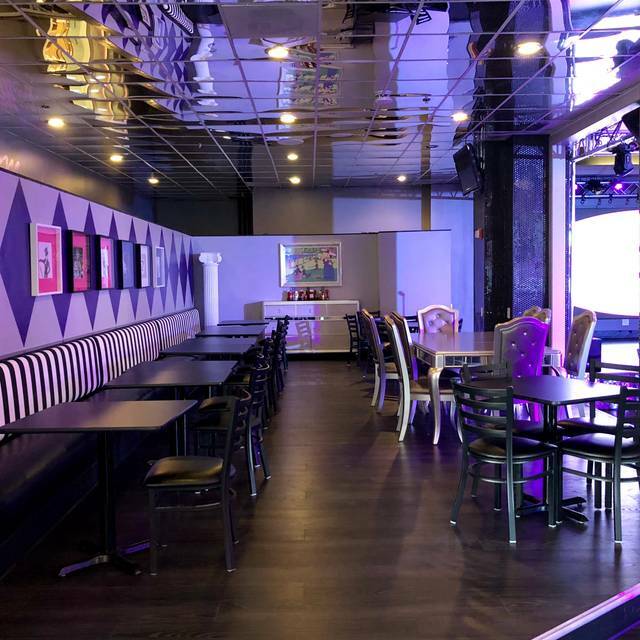 If you have a chance, be sure to see a show at Hamburger Mary’s. We loved it. Must go! My friends and I went on a Saturday night. First time and we had an amazing time. We will definitely go again. Heads up, they seat everyone at once so please do not get upset or takes awhile to get your food. This a show that happens to have dinner. You go for the show!!! I was disappointed that the performers didn't sing. It basically was lip syncing and dancing. I was hoping the MC would continue to interact with the audience. First hour was fun after that it was pretty repetititve and boring. We had a fantastic time! The staff was great! The show was entertaining and fun. The open karaoke at the end of the night was just perfect! Thanks for a memory-making kinda night. Always a good time whether we come in for lunch or happy hour after work. GREAT place for any girls night....hell, bring the guys too. They'll love it! My Mom and I went for Sunday brunch and we had a blast!!! It was so much fun and those divas are amazing!! 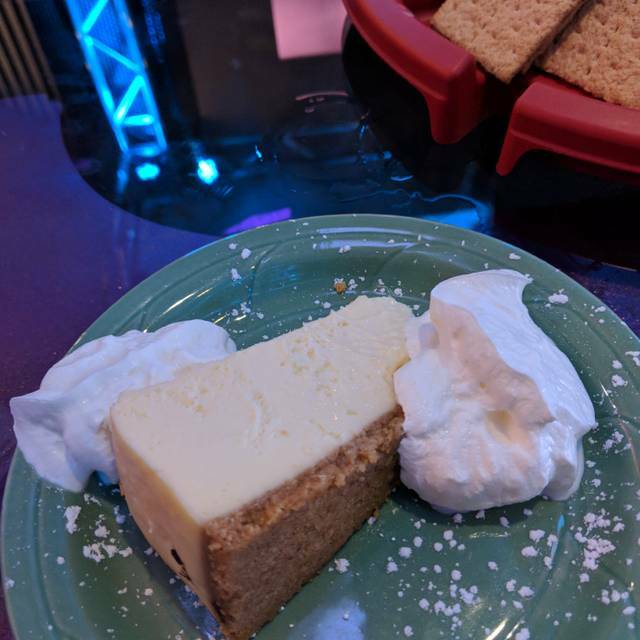 The only downside was that the place was so busy that it took our waitress a really long time to reach us.. We finally got our food from the buffet but they were out of forks. We asked for one and we're told it would be brought to the table but it never did. My Mom and I just shared one. The music, the show, the atmosphere, I loved so much and I can't wait to go back. I just hope they are a little more prepared for their Sunday crowd next time. We went with a group of 5. Our table was given away as they over booked for the evening. We did get a very good table close to the stage. I am glad we decided not to eat as the people next to us never got their food and left after 2 hours of waiting. I would have given this 5 stars based on entertainment alone, but we had to wait a very long time for our drinks, I'd say at one point we finally got them after an hour of waiting, so we kept going to the bar. The plus side of that was that the bartender was very friendly and just wonderful. I would go back definitely. Hoping they don't overbook again. Had an amazing time! The show and atmosphere was outstanding! Food and drinks were very tasty! Make sure to ask for drink refills before empty, as due to crowd refills and service takes awhile. We came to celebrate my sister's bachelorette and had SO much fun. This venue is 1000 better than the previous space on Olive and it changes the experience for the better. One and only complaint was that we waited too long to be greeted by our waitress and ended up ordering our first round of drinks from the bar, even though we had been seated at our table on arrival. The show was so much fun, we ended up staying for the next one and were happy we could move to the bar for that. Also, really loved that it was a totally new set of songs and costumes! We were put behind a pole, we were one of the first people there and asked for another table and they said no. Only 2 people sat there and they came very late. Our food took over an hour to get and the bacon on mine was black, not over cooked but burnt black. The server seemed over worked so he was not friendly at all. The music was soooo loud that everyone in my group felt relief when it was over. We had a group of all ages too. The people in drag seemed like they only wanted money and really did not do much of a performance. Boom Boom was fantastic!! The other black lady was good too. The shorter heavier one was good and the skinny one in the red dress looked amazing!! The end of the night was fun when they had a contest and the announcer was hilarious!! Should kids under like 16 even be allowed in there?? There were kids near us that were crying and it took away from the show because we were furious at the parents for bringing them. The food is good, nothing amazing but good. The service can be a bit slow but it's a dinner theater and that happens. The show is amazing and crazy fun. Overall, it's a great place to go. I'll be back. Bar service was extremely slow and very sporadic. Food was average and served quickly. Entertainment was nothing impressive. The owner was insulting and degrading when we shared. Absolutely fabulous night. Our server, Hannah, was amazing. Good time had by all of us. The show was fantastic. Fun. Entertaining. We had a great time! First experience and it definitely won’t be the last. We came for bingo and had a blast. The food was great and the talent was amazing! The added gratuity was over kill for our group of 8, especially since the added $3.95 show fee. Definitely can't afford to go more than once a year. However it's super fun! We had a great time at Brunch at Hamburger Mary’s. Our waiter was great and the show was awesome! The ladies were amazing. We will definitely come back again! Dexter our server was amazing and the show was great!! Great group of people. Lively. Fun. Friendly. I loved bingo. We love to go to a drag show and the Sunday brunch is fantastic! We love to celebrate milestones here. Had a great time for a friends birthday. Did not go with high expectations on the food - we were there for the entertainment and loved it! Keep up the fun times! Lady at the front desk very rude. We will have five people and two of them couldn't see the stage because of a pole, that we made it work. After 20 minutes of sitting there I had to get up and try to find someone to do get our drink orders. Then waited very long time for food and our appetizers came out with our main meal so waste of time of getting appetizers. We would have drank a lot more but our waiter was too busy and drinks took a long time to come out. The drag queens we're more interested in walking around taking dollar bills then actually performing on stage. Yes I come from Vegas so I have a higher standard but at least dance or try to lip sync before you head out for dollar bills. I had reservation for 4 at a standard table. when we arrived the older lady at the host stand had a hard time finding it and then sat us a 2 high tops. when we asked why she stated that she had sat someone at the wrong table and that is was all that you guys had. it was behind a pole so the show was a waste for us we couldnt see anything. it took well over 20mins to get our 1st drinks and over an hour for our burgers. I had hoped this was going to be a great trip. well it was not. 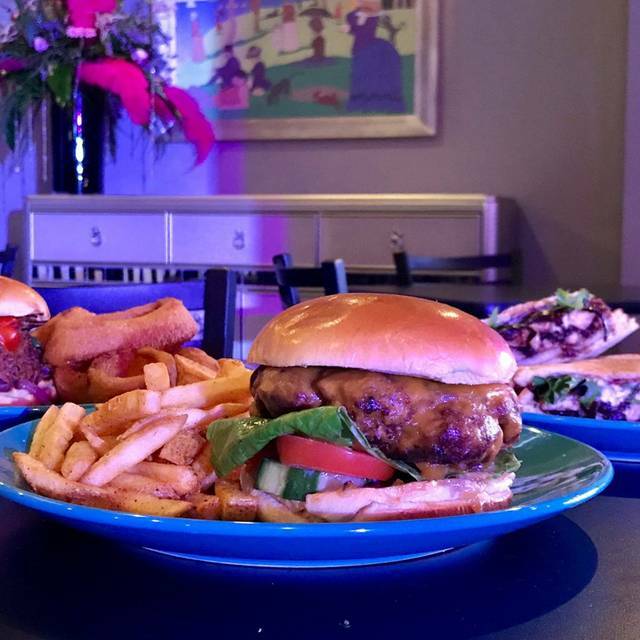 Fun atmosphere, delicious burgers and great entertainment! Everyone there wants you to have an enjoyable experience! It was a fun experience. Food was excellent and the entertainment was superb. Just LOVE Dominque! Just love how she works the crowd. I love this place. I’m not excited about the food. Service is great! So much fun for everyone...like a comedy show more than anything. Bring those $1! The show was amazing. The service was not so amazing. I won’t even blame our server as she had 3 VERY large parties (the smallest was 10) and our table of 5. She apologized multiple times and did try. It was poor planning on servers available and what tables they were assigned. We unfortunately had to go to the bar several times to get drinks. Again, not our servers fault. I’ll definitely go back because the drag show is great fun. The show was amazing as always. 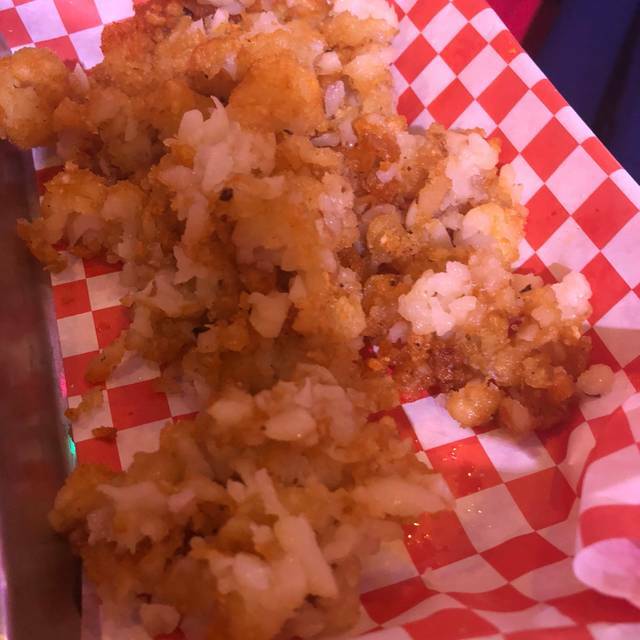 Waitress sucked. She didn't bring out half of our food and then we had to remind her that she didn't bring half of our food Out. Very slow service, made reservations for 2 in advance and still ended up having to wait a long time to be seated and had to sit with strangers and share a table, food was decent but the burger could have been cooked a little more as it was very pink. Had a lovely time! Took two of my friends to a RPDR viewing party and we had an absolute blast, food was great and the queens were lovely! We to Drag Bingo for Doorways....... we had so much fun.....Great Service Great Food & Drinks and most of all Fabulous Drag Queens top the evening! Had hawiian burger it was amazing!! I enjoyed the food and atmosphere! Thank you for a great time glad to help an organization on Tuesday night! Our group had a great time. The food was really good, the drinks were generous and the drag queen bingo was fun and for a great cause.